Port Dickinson Elementary School Pre-School, Elementary School / Public N/A 2.26 mi. Chenango Bridge Elementary School Elementary School / Public 5 1.23 mi. Chenango Valley Middle School Middle School / Public 7 0.96 mi. Chenango Valley High School High School / Public 7 0.96 mi. Central Baptist Christian Academy * Elementary School, Middle School, High School / Private N/A 1.09 mi. Children's Home Of Wyoming Conference * Elementary School, Middle School, High School / Private N/A 1.24 mi. 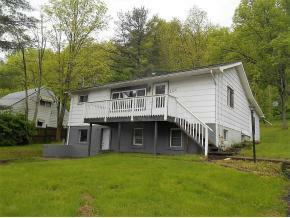 101 Trafford Road, Binghamton, NY 13901 is a 3 bedroom, 2 bath single family home was sold for $57,000.